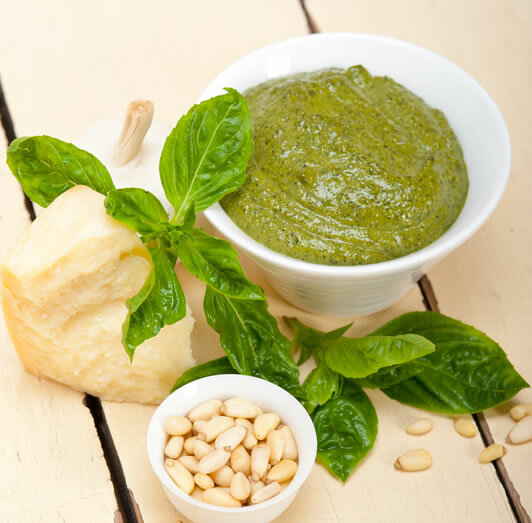 This is a Basil Spinach Pesto recipe you can use with pasta, on bread or sandwiches, salads, chicken or whatever you choose. Store in airtight glass jar. 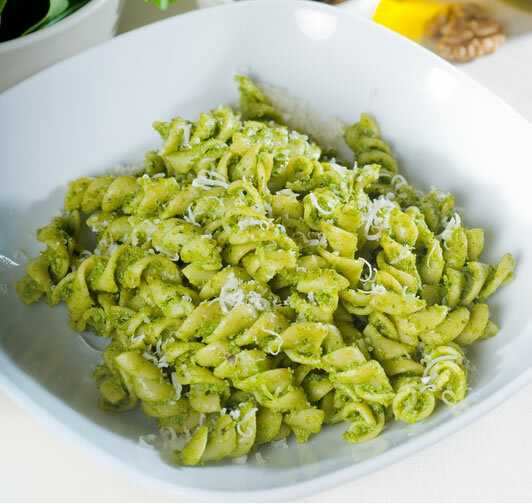 You could also freeze this pesto sauce in an ice cube tray. Just pop out a couple of cubes from the freezer and add to a pasta dish for a quick and easy meal. If you freeze the pesto, omit Parmesan cheese and add after thawing. Cook the pasta in the boiling, salted water according to directions. Drain and transfer to a large bowl. Add the pesto, Lemon Vitality Essential Oil and toss. Taste for salt and pepper, and add a drizzle of oil, if you like.